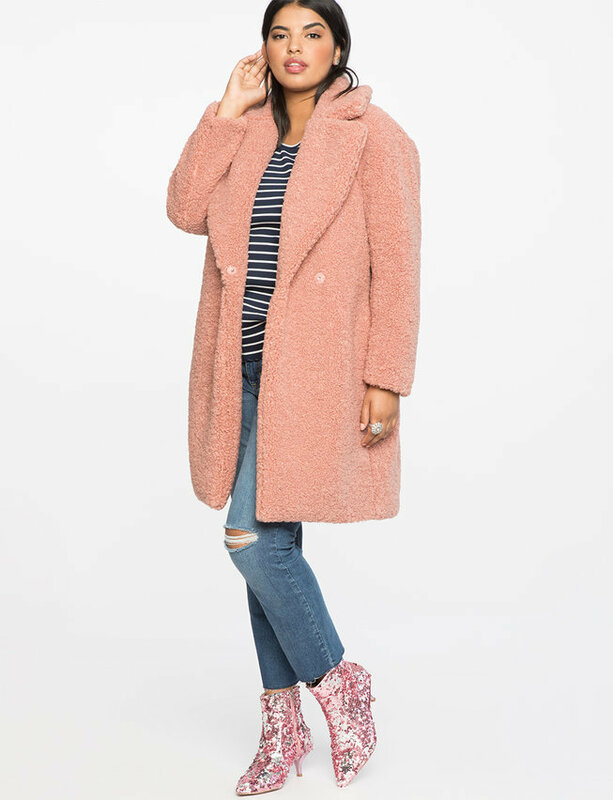 13 Non-Black Plus Size Coats To Keep You Stylishly Warm this Fall! Looking for a few non-boring, non-black, plus size coats or jackets for the fall and winter season? We have found more than a few fun coats WITH color to rock! Fall is officially here. 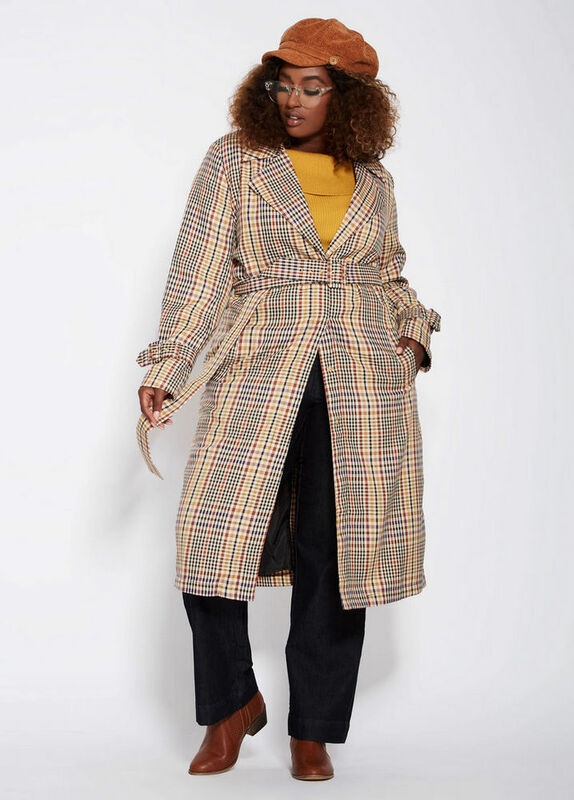 As we brave the cooler temperatures and with winter around the corner, we find ourselves quickly shifting our closet and wardrobe around for fall’s essential layering pieces: a great plus size coat. 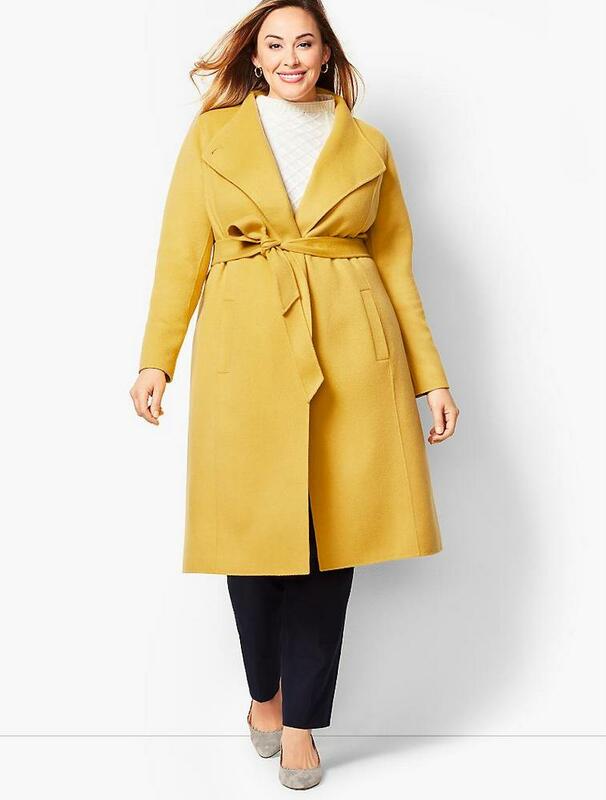 A Bright Plus Size Coat. As the trees become bare, and the weather drops drastically, fall’s chill, snow, and ice (depending on where you live) make their presence known and did I mention that it is about to be so damned cold? However, there is a silver lining in fall’s pending chill. Coats. Fun coats. Warm coats. 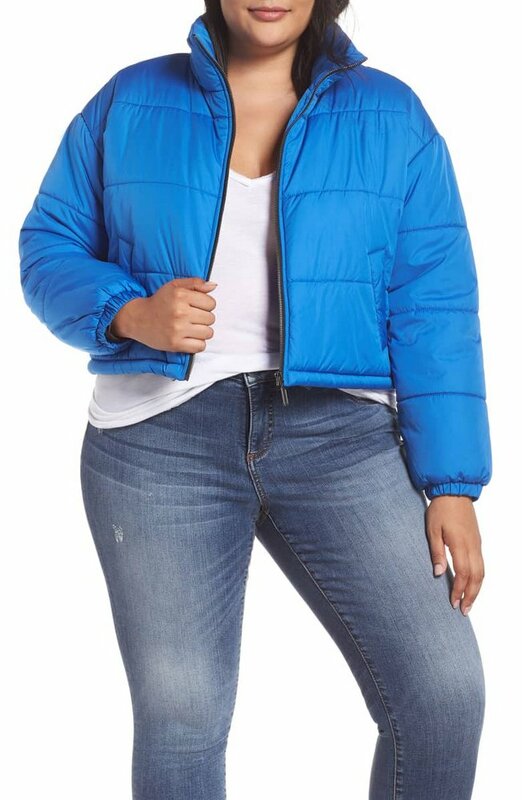 Bright plus size coats! Yes, these do exist. As the fashion industry has been catching up to and with our lifestyles, they have realized that we too enjoy a bold, fancy, edgy, or playful option in the coat department. 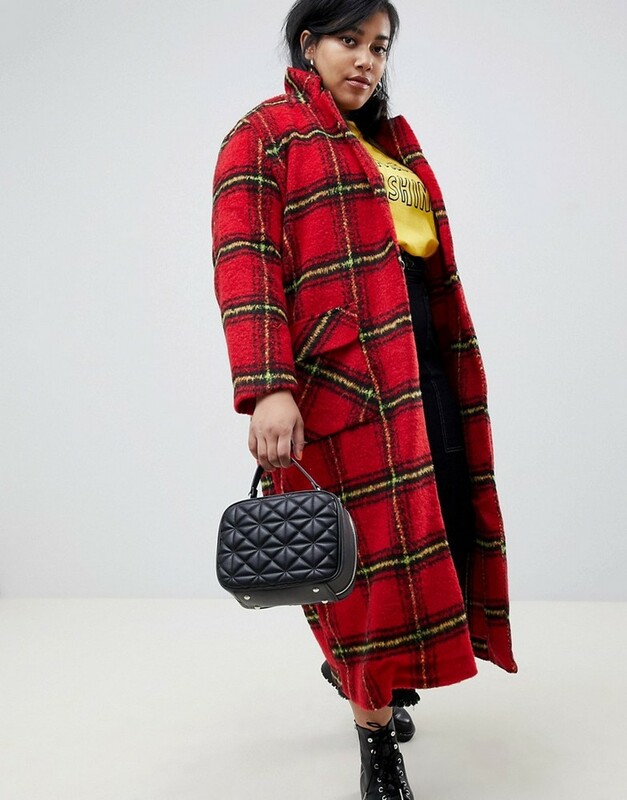 So to kick things off as the weather starts to change, we have assembled a happy collection of brilliant plus size coats, highlighting the best of fall’s coat trends, to keep you toasty and vibrant. Who says that your jacket CANNOT be purple? How rich is this hue and how perfect of a job with this velvet padded jacket do for the fall into the winter seasons? Looking for a menswear inspired plaid to bring both a little attitude, style, and a vibe that is all your own? This trench coat is the perfect piece to make a statement, pull your look together, and take charge of the day! 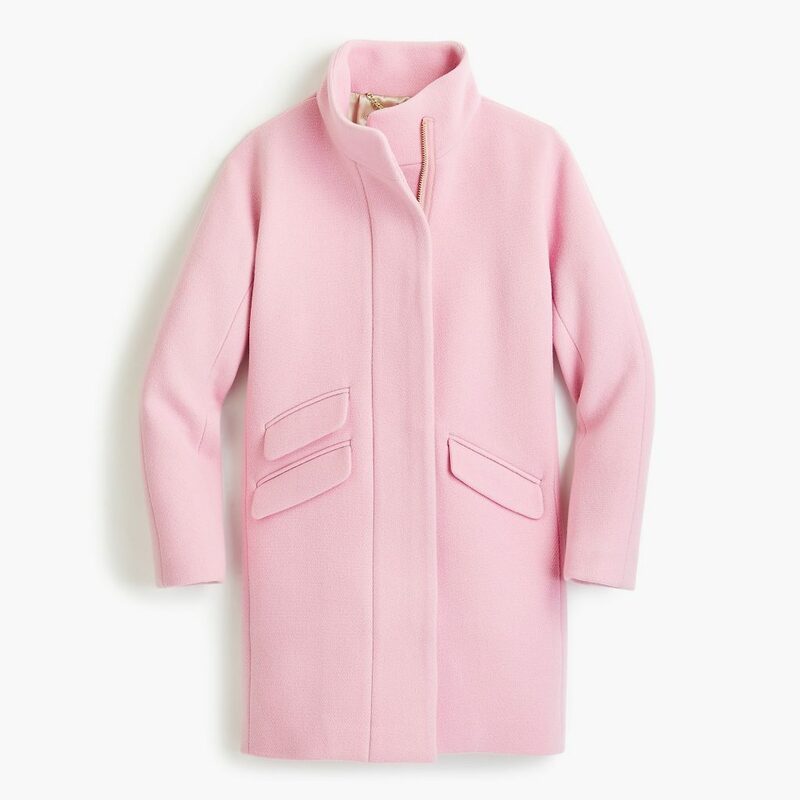 Many moons ago, before major retailers were starting to extend their sizes, I would look at the coats on jcrew.com and sigh. Why don’t they make cute coats in plus size I would call out into the night! Christmas came early, folks. J. Crew’s coats go up to a generous 24 and they are in every color of the rainbow! If you are a fan of pink, they have wool coats in a host of your favorite shade, from a delicate buff to a hit you over the head fuchsia. Bright faux fur is having a major moment. Since the positive tide turned against animal furs a few seasons ago, faux has stepped up and it is fun and affordable. This piece from Simply Be is shorter than the average bear, but if you live in a warmer climate, this will be an ideal piece. It offers less coverage but gives you the one-two punch of color and fabrication. I love a good Yellow coat. However, the shade often comes in coats are pretty novelty looking. You know the coats I mean- with too many toggles, pulls, pockets, and gromets. This season, Talbots married the happy hue with a classic cut. Meet the double-face wool belted coat. How pretty would this be with black and white windowpane patterned pants and a red lip? Ok, I’m going to step away from the brights for a minute. 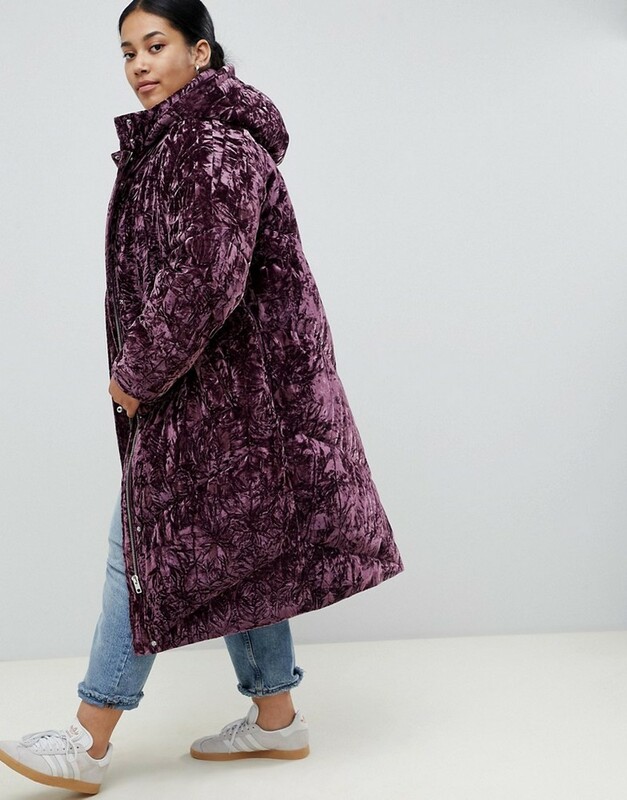 I found this coat and it is so delightfully Meghan Markle, that I just had to share. Straight out of the Duchess of Sussex’s playbook, this charmer is chic and understated. Pair this with a dress and heels, and you will have Prince Harry doing a double take! One of the best parts about winter dressing is that there are so many fun textures to play with. This boucle teddy coat is one of those pieces. Stay warm in teddy bear fabric piled high and dyed a dusty rose to have you looking on trend and up for hot toddies. Do you often wish that you could have come of age in the 80’s? 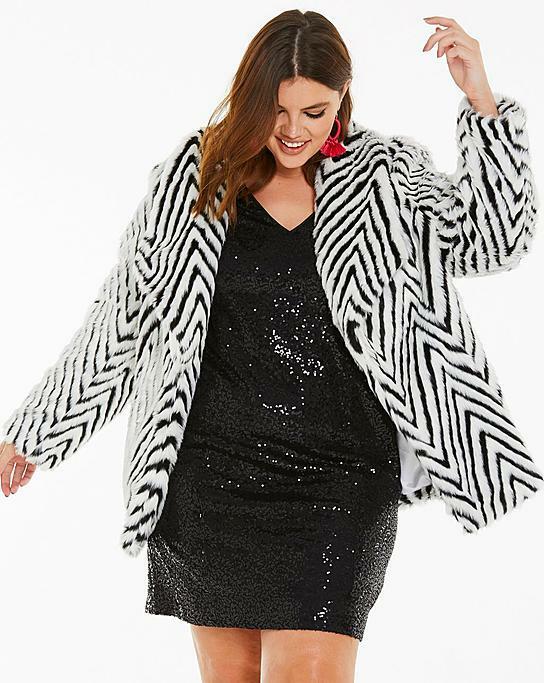 Now is your chance to live your truth with this black and white faux fur coat also from Simply Be. Straight from the set of Dallas, will look amazing dressed up or down. To amp up the 80’s factor, pair with a statement earring…clip on of course! How pretty is this pink pearl colored puffer? I love everything about how LB styled this outfit. However, if you need to wear a puffer and a sweater, you miiiiight want to add some socks. Just a thought. The feminine ruffle detail really makes this piece a fun part of your winter wardrobe. I would say this is more of a fashion piece than one for Minnesota in February. However, when worn with some sports-luxe pieces like an athletic inspired trouser or midi skirt, this could be seriously stylish. So many things get tossed to the wayside in Winter dressing. Especially the waist. Cinch yours with this moto meets coat piece from Michael Kors. If you want to add a candy sweetness to the look, add some pink to it, with say a pink pair of tights under a dress or a scarf. For a customized look, lose the belt that it came with substitute it with yours! And listen… if you love to keep a all-black wardrobe, how much fun would these jackets be, to add a little pop of attitude and style to your life? We have hit on almost all of fall’s plus size coat trends, too! Isn’t THAT exciting? Coats and jackets ON trend and ON budget!?! How about that! So many options and so much fun to ward off the fall and winter blues, right? Stay warm, but stay stylish and let us know which ones were your favorites! Love the jacket in the lead picture? You can score it from Macys.com!